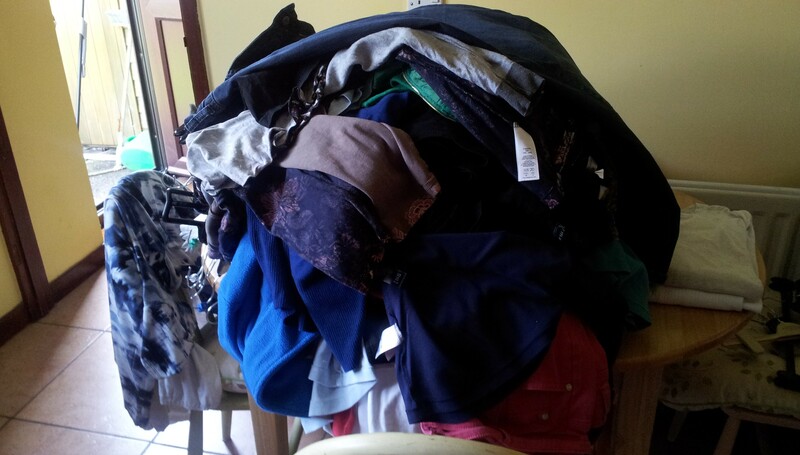 Today I… finally caved in under the enormous pile and did the ironing. I noticed smaller piles had begun to grow on the bedroom floor …and on the dressing table…and stuff was hanging behind the spare room door. I could put it off no longer. All hanging or folded neatly. I found two items that needed work- a droopy hem and a gaping seam so these will be kept out and repaired- the rest has been put away. We all know that the situation will not last. Indeed, no sooner had I finished and shouted ‘TA-DA’ expecting at the very least a round of applause from my nearest and dearest, I noticed a shirt and a pair of jeans tucked away behind the door of what-I-call the study, formerly known as Hannah’s room, but is better described as the junk room. 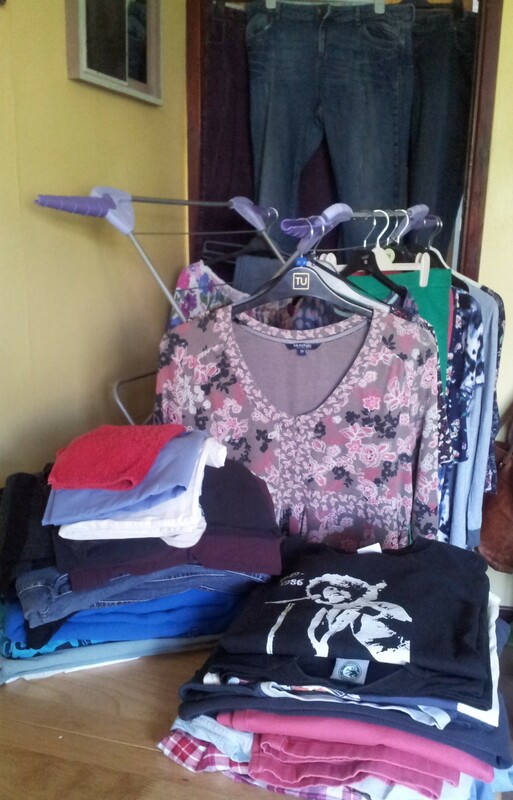 This entry was posted in 365 Project, Writing and tagged chores, declutter, decluttering, housework, ironing. Bookmark the permalink.